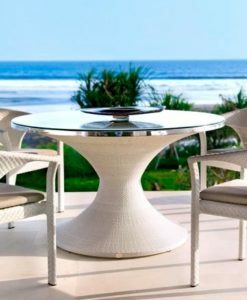 A timeless piece, the Becker tables combines classic design with the latest in materials and finishes. 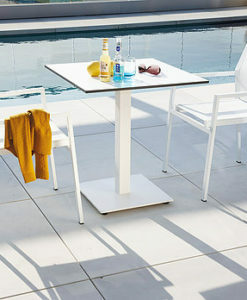 With a double extension feature supported by stainless steel hinges and built upon a solid brass rotating mechanism, the tabletop extension is sure to glide smoothly for years to come. 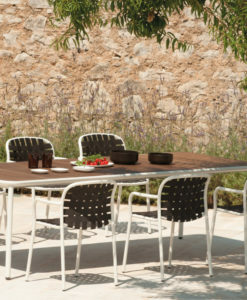 Thoughtfully designed with in-built storage for the umbrella brass holder, the Becker series demonstrates unrivaled quality and master workmanship. 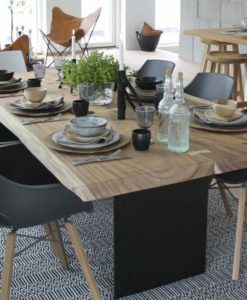 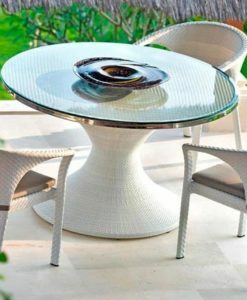 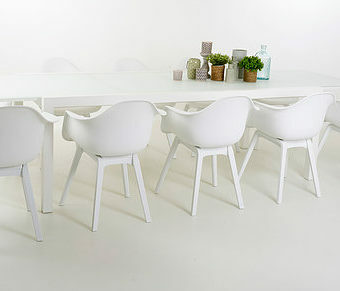 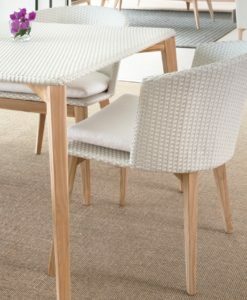 Is the perfect dining table for restaurants or residential use, with many options to choose from. 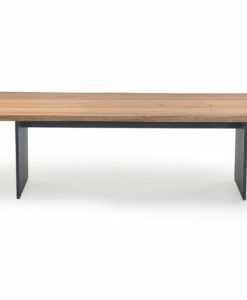 47/71″ x 39″ x 29″ The smallest extension table in our Becker collection. 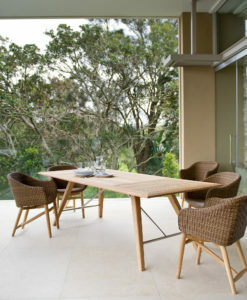 A 4 seater table that extends to accommodate 6. 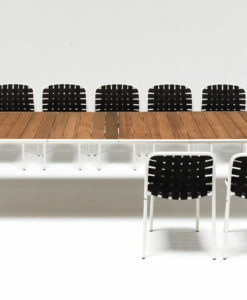 71/98″ x 35″ x 29″ Designed for long and narrow spaces, this table series seats 6, but expands to accommodate up to 10. 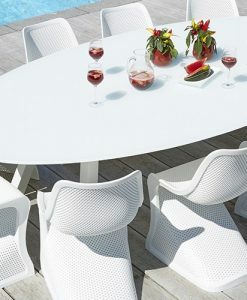 71″/98″ x 39″ x 29″ This table seats 6 but extends to fit 10, and includes an ingenious double extension mechanism allowing an umbrella to remain attached even when the table is closed. 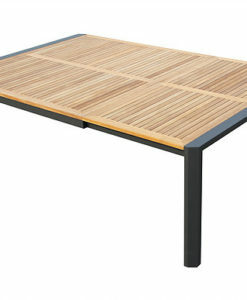 78″ x 118″ x 43″ x 29″ This is the widest extension table in the collection. 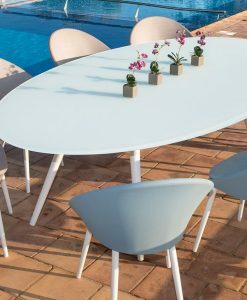 Seating up to 12 people when fully extended the extension mechanism allows this table to retract to 3 different table sizes. 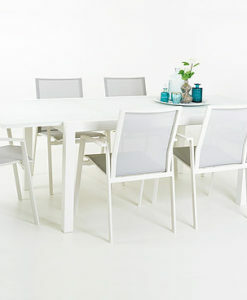 98″ x 142″ x 47″ x 29″ The ultimate in extension tables, the Becker table seats up to 12 when fully extended. 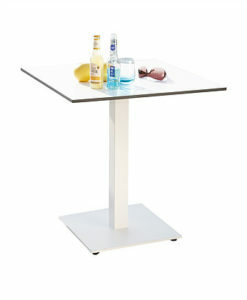 The ingenious double extension mechanism allows you to take advantage of 3 different table sizes. 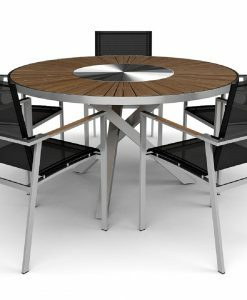 71/98″ x 39″ x 29″ Seating between six and 8, the Becker Oval comes complete with a double extension mechanism that allows the user to convert the table to 3 different lengths. 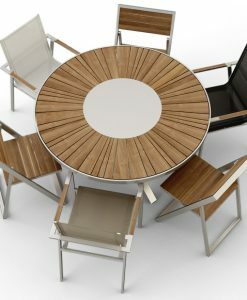 A-grade teak and Stainless steel hinges Brass fittings.